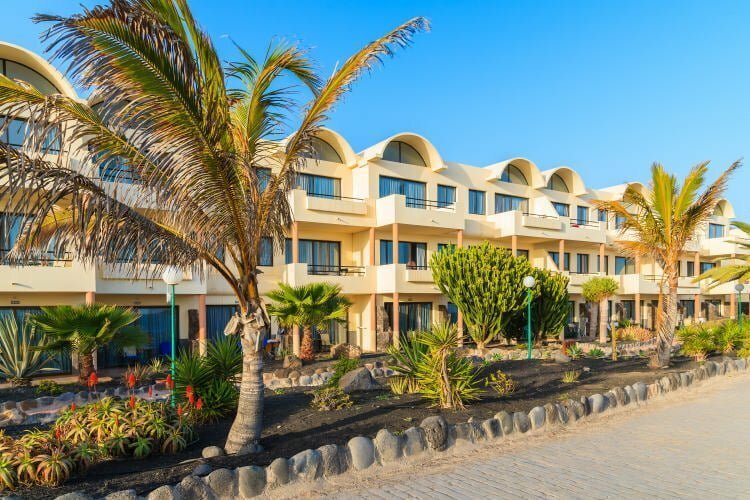 Lanzarote offers nice collection of quality Lanzarote apartments for the holidaymakers on their Lanzarote holidays. Below you may find the apartments info in the Lanzarote accommodation area for the most popular holiday resorts in Lanzarote. Puerto del Carmen is one of the most popular resorts in Lanzarote. Although not very large in size, Puerto del Carmen has numerous restaurants, night spots, shops, and a nice beach for the holidaymakers. Another popular holiday resort, is Costa Teguise, located further north. Holidaymakers may find a variety of nice and luxurious hotels. Playa Blanca is located on the southern coast of the island. Nearby, holidaymakers may find the most stunning beaches on the island of Lanzarote, the idyllic coves of Papagayo with white sand and crystal-clear waters. Arrecife is the capital city and the commercial and administrative town of the island of Lanzarote.